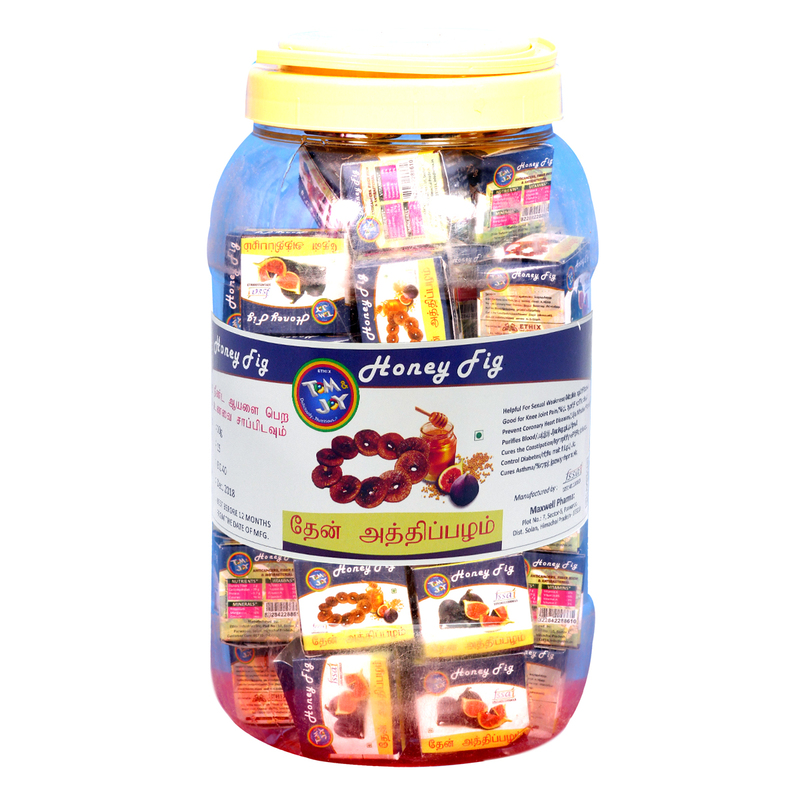 Pure Honey in Tom & Joy contains flavonoids, antioxidants which helps to reduce the risk of some cancers and heart disease. 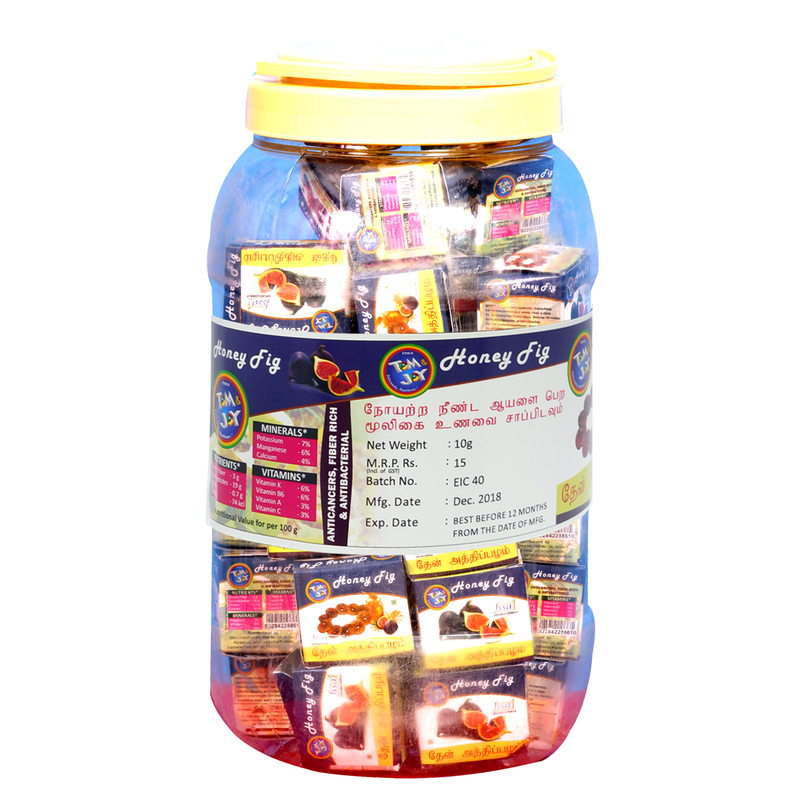 Pure Honey in Tom & Joy Reduce ulcers and other gastrointestinal disorders Recent research shows that honey treatment help disorders such as ulcers and bacterial gastroenteritis. Pure Honey in Tom & Joy* contains flavonoids, antioxidants which helps to reduce the risk of some cancers and heart disease. 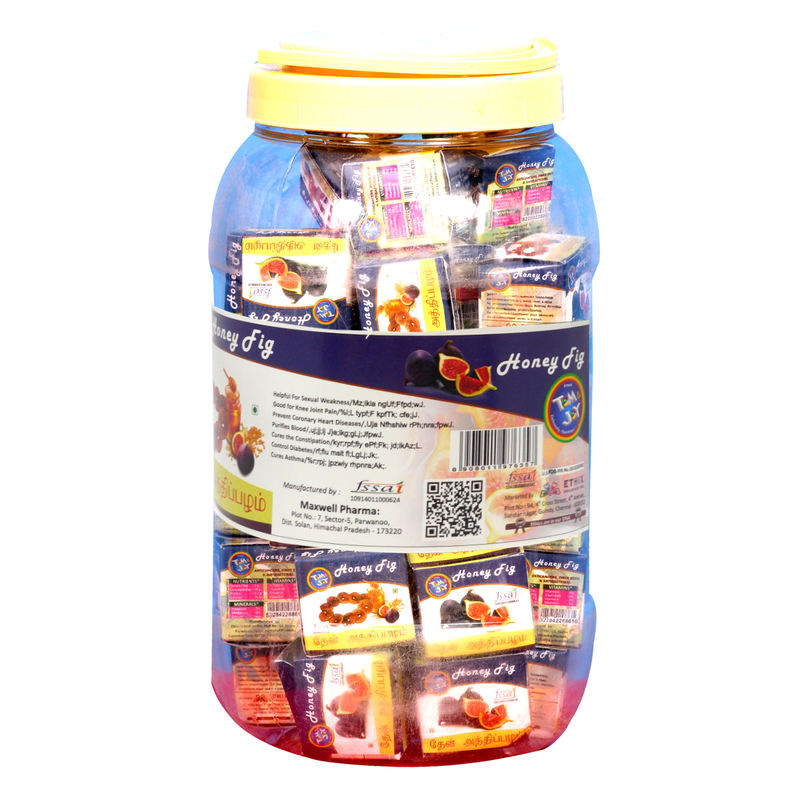 Pure Honey in Tom & Joy Reduce ulcers and other gastrointestinal disorders Recent research shows that honey treatment help disorders such as ulcers and bacterial gastroenteritis. Pure Honey (Tom & Joy) has antibacterial effects in it because the bees add an enzyme that makes hydrogen peroxide: said Peter Molan, director of the Honey Research Unit at the University of Waikato in New Zealand*Fig fruit is added to Honey. Fig fruits are rich in fiber: Figs are a good source of soluble fiber which helps in keeping you full for longer periods of time and relieves constipation. They are rich in vital vitamins and minerals: Figs are rich in Vitamins A, B1 and B2, manganese and potassium, magnesium, copper, iron, and phosphorus. Hexa Hair oil an Ayurvedic Patented Hair medicinal preparation without side effects.Hexa a complete Ayurvedic formula, which is prepared in Sesame Oil using 16 selected herbs. Glowin Moisturising Soap with Almond oil and Olive oil for Glowing skin and has natural disinfectant properties and protects skin from itching,pimples and eliminates body odour. MucoCef-O-DT 100 mg tablet is a broad-spectrum antibiotic used to treat a variety of infections such as pneumonia, sinusitis, cystitis, gonococcal infection, etc. caused by bacteria. This medicine is not recommended for use in case of a common cold, flu or viral infections since it is active against infections caused by bacteria only. Hijeen Soap is enriched with the goodness of Kesar & Sandal. This specialized Soap deep cleanses your skin and removes pimples & pigmentation marks. The Fruit Actives impart glow & keep your facial skin healthy & lustrous. Sandal Oil (Chandan) ? For soft supple skin. Cools the skin & prevents pimples & rashes. Saffron ? Improves skin complexion clears dark patches & imparts glow to skin. Hijeen bathing bar embedded with sandal wood oil & kesar extract which acts as a mild scrubber that gives you fresh and radiant skin. zerodan ketoconazole soap all the goodness of naturally derived ingredients to keep your skin protected at all times. zerodan protect your skin from harsh environmental conditions itchiness, redness and irritation. It also improves general skin health and immunity, combating fungal infections such as acne, boils and ulcers. The herb helps to even out your skin tone and complexion.zerodan ketoconazole soap 100% free from animal fat. Directions for use: use daily twice. We Serving the medical fraternity by marketing quality medicines since 2000 and manufacturing the same since 2006. Tamil Nadu, PIN – 600102, INDIA. © 2019 www.ethix.in. All Rights Reserved.